Below you can view all the homes for sale in the Fox Hill subdivision located in Centennial Colorado. Listings in Fox Hill are updated daily from data we receive from the Denver multiple listing service. To learn more about any of these homes or to receive custom notifications when a new property is listed for sale in Fox Hill, give us a call at 720-924-7403. From the quaint covered front porch to the 3-car garage, CC Schools, you will not be disappointed. MLS#8735959. Integrity Realty. Located close to trails, the rec center and Quincy Reservoir, this home is just for you. MLS#4518036. Porchlight Real Estate Group. In addition there is an 837 square foot basement just waiting for you to make it your own. MLS#6356785. COLDWELL BANKER RESIDENTIAL 24. 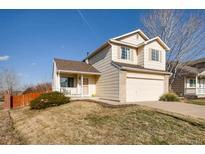 Great home, near E-470, Quincy Reservoir and Southlands. Don't miss it! ! MLS#1532792. HomeSmart Realty Group. Information is deemed reliable but not guaranteed. ** MLS#2093671. 8z Real Estate. You are minutes from the award-winning schools, shopping, and your favorite restaurants. MLS#6077461. Keller Williams DTC. This is a great value for those seeking a clean and move-in ready home in the Cherry Creek School District of Centennial! MLS#1918496. RE/MAX ALLIANCE. Updated Roof, Ext Paint, Water Soft, Sec System, Electrical & AC! Must See! ! MLS#7097341. RE/MAX Alliance. Easy access to E-470 and Southlands Mall. MLS#2282729. HomeSmart Cherry Creek Properties.